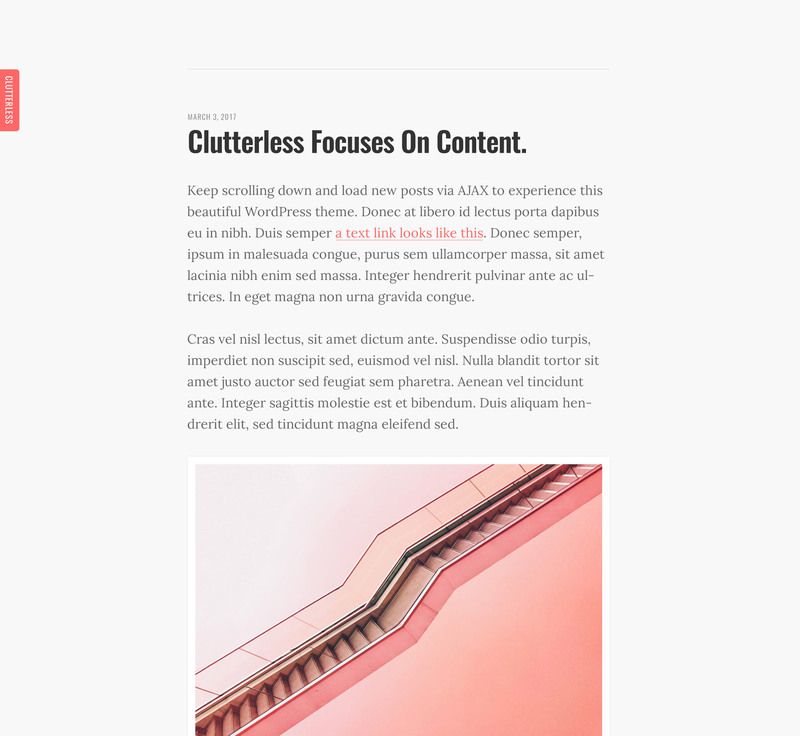 ‘Clutterless’ is a free, ultra-minimal One Page blogging theme. The WordPress theme features a unique slide-out info sidebar as well as AJAX loading posts – meaning the theme is technically One Page. Absolutely all distractions have been stripped out, so readers can focus on what is important, the content.